李星敏, 陈闯, 董自鹏, 等, 2018. 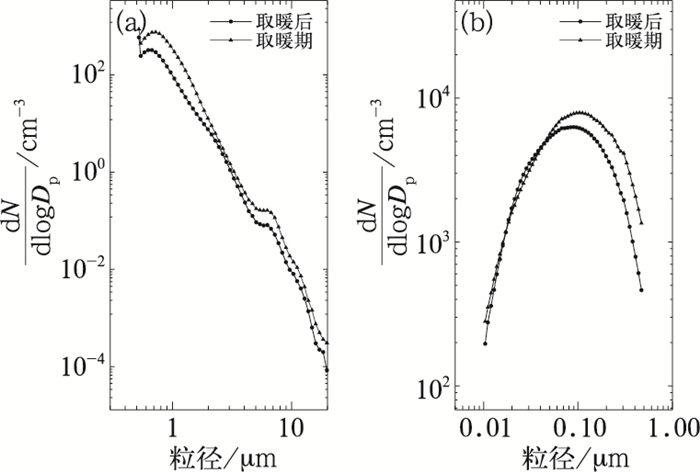 关中颗粒物粒径谱特征及其气象影响因子分析[J]. 气象, 44(7): 929-935. DOI: 10.7519/j.issn.1000-0526.2018.07.014. 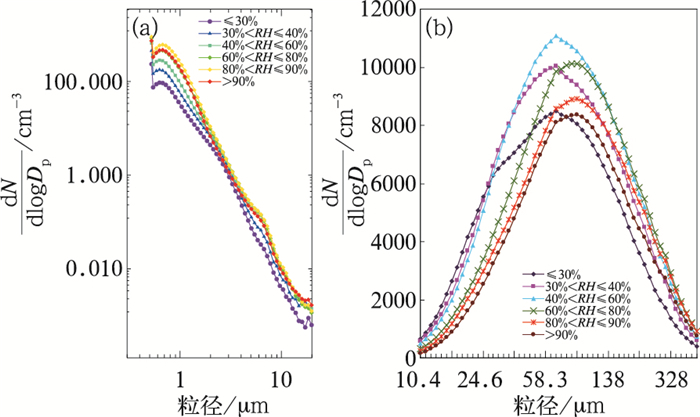 LI Xingmin, CHEN Chuang, DONG Zipeng, et al, 2018. Analysis of the Impact of Meteorological Factors on Particle Size Distribution and Its Characteristic over Guanzhong Basin[J]. Meteorological Monthly, 44(7): 929-935. DOI: 10.7519/j.issn.1000-0526.2018.07.014. Abstract: The impact of meteorological factors on particle size distribution and its characteristic over Guanzhong Basin (GZB) was studied by employing the particulate matter (PM) mass concentration data released by Xi'an Environmental Protection Bureau, the meteorological station data and the particle size distribution data measured by aerodynamic particle sizer (APS) and Scanning Mobility Particle Sizer Model 3034 (SMPS). The result showed that heavy haze frequently occurring in GZB is mainly caused by complex special terrain and high levels of particulate pollutants. 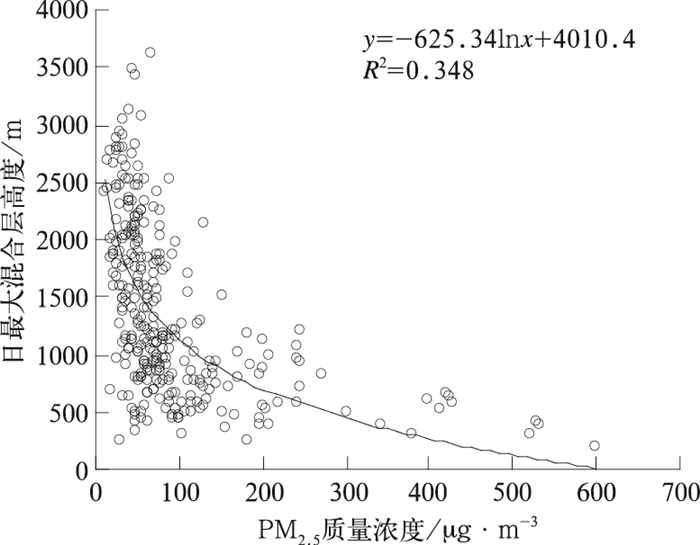 Significant negative correlations were found between planetary boundary layer height (PBLH) and mass concentrations of PM with aerodynamic diameters < 2.5 μm (PM2.5), suggesting that a higher PBLH is favorable for the diffusion of particulate pollutants. 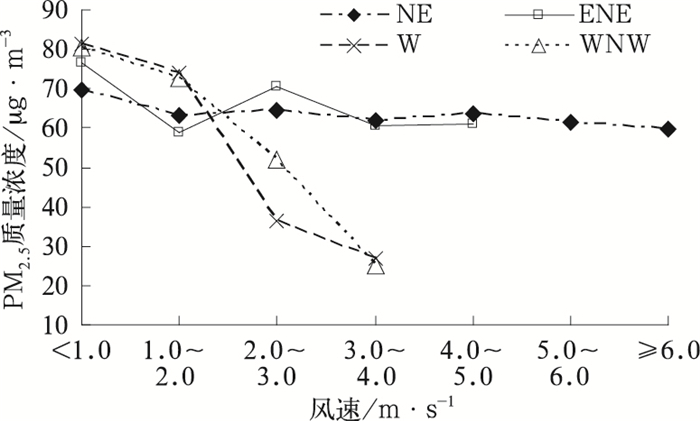 Changes in PM2.5 in response to wind speed and wind direction was simultaneously investigated, clearly showing that easterly (northwesterly) wind is associated with the import (export) of pollutants to (from) GBZ. Furthermore, high relative humidity significantly contributes to the maintenance of stable atmospheric boundary layers and the accumulation of particulate pollutants. When relative humidity (RH) is less then 80%, the particle number concentration with diameters ranging from 150 nm to 1.0 μm increases greatly with the increase of RH, which could result in a poor visibility. The number concentration of particles within different size ranges changes variously with RH, causing different impacts on visibility. The higher the RH, the larger the contribution of humidity to the visibility reduction. Note: The air pollution levels, AQI and corresponding PM2.5 mass concentrations from Technical Regulation on Ambient Air Quality Index (on trial) (HJ633-2012；中华人民共和国环境保护部，2012). 贺千山, 毛节泰, 2005. 北京城市大气混合层与气溶胶垂直分布观测研究[J]. 气象学报, 63(3): 374-384. 花丛, 张碧辉, 张恒德, 2015. 2013年1—2月华北雾、霾天气边界层特征对比分析[J]. 气象, 41(9): 1144-1151. 马学款, 张碧辉, 桂海林, 等, 2017. APEC前后北京几次静稳天气边界层特征对比分析[J]. 气象, 43(11): 1364-1373. 王式功, 姜大膀, 杨德保, 等, 2000. 兰州市区最大混合层厚度变化特征分析[J]. 高原气象, 19(3): 363-370. 姚青, 蔡子颖, 韩素芹, 等, 2014. 天津冬季相对湿度对气溶胶浓度谱分布和大气能见度的影响[J]. 中国环境科学, 34(3): 596-603. 张恒德, 饶晓琴, 乔林, 2011. 一次华东地区大范围持续雾过程的诊断分析[J]. 高原气象, 30(5): 1255-1265. 张人禾, 李强, 张若楠, 2014. 2013年1月中国东部持续性强雾-霾天气产生的气象条件分析[J]. 中国科学:地球科学, 44(1): 27-36. 张小玲, 唐宜西, 熊亚军, 等, 2014. 华北平原一次严重区域雾-霾天气分析与数值预报试验[J]. 中国科学院大学学报, 31(3): 337-344. 中华人民共和国环境保护部, 2012. 环境空气质量指数(AQI)技术规定(试行): HJ633—2012[S]. 北京: 环境保护部.